Servis New Summer Collection in store now! Servis New Summer Collection is such a #Diltastic that "utaarnay ka #SceneheeNahin! [Karachi: 19th March, 2016]: Servis Sales Corporation, Pakistan’s leading footwear retailer, has recently launched its new summer collection including their signature lines Ndure, Liza and ToZ – and which are now available at their store across Pakistan. 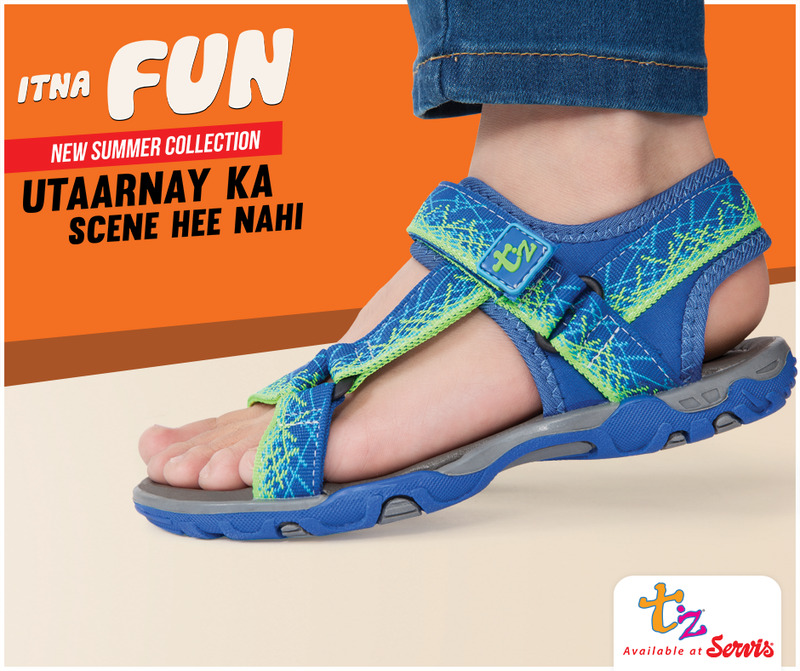 The new collection has been launched by the brand, with a TVC campaign titled “Servis Shoes: UtaarneyKa Scene Hi Nahi”. The TVC shows various hip and youthful individualsin situations where one would take their shoes off, but in this case are so madly in love with their Servis shoes that shoe ownersdon’t take the shoes off – and are seen wearing the shoes to bed, while swimming and evenwhile taking a bath! With this campaign Servis once again establishes their brand promises of catering to the daily footwear needs of all the members of the average Pakistani family. With its multi-brand approach, constant innovation in design and up-to-date style trends, Servis has products for all age groups and personal tastes. Servis is the largest retail network in Pakistan, with more than 450 retail outlets and roughly 2500 independent dealers, delivering quality footwear to consumers every day. Servis is managed by the Service Sales Corporation (Pvt.) Ltd.
Love the new comfortable collection.